Andrey Veselov leads the final nine players in the £1 million guaranteed WSOP-C UK Main Event. Andrey Veselov is the man to catch going into the final day of the 2019 World Series of Poker Circuit (WSOP-C) UK Main Event where only nine players remain in the hunt for the coveted WSOP-C ring and the £155,000 first-place prize. Some 102 players returned to the action at Dusk Till Dawn on Apr. 13 all in the money and knowing they were one day’s play away from reaching the WSOP-C UK Main Event final table. Catalin Dumitrascu was the first casualty of the afternoon, busting in 102nd place for £2,750. He was joined at the cashier’s desk by the likes of John Duthie, Ali Zihni, Ben Winsor, James Atkin, Ben Farrell, Tom Hall, Richard Kellett, Keith Johnson, Richard Trigg, Kalidou Sow and Jeff Kimber. The final exit of Day 3 was that of Ronnie Ballantyne who busted in 10th place for £12,500, setting the nine-handed final table. Veselov is the chip leader going into the final table and is on course to surpass his largest liv poker tournament score. A victory in a £165 buy-in event back in Nov. 2015 banked Veselov £23,950, which is still his largest career score. James Alsop is second in chips at the start of Day 4 and is already guaranteed to break his record cash. 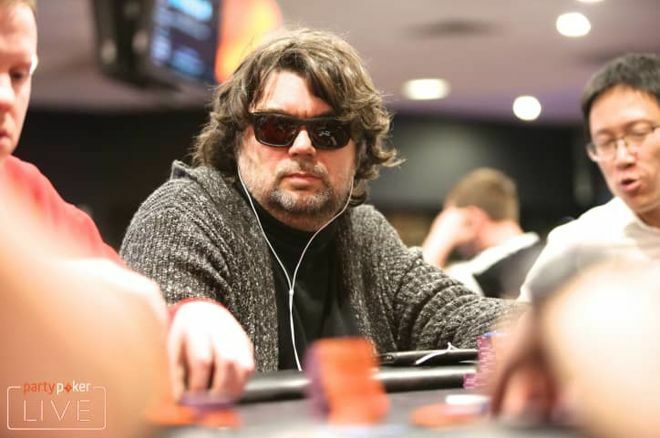 Earlier this week, Alsop finished 30th in the £330 WSOP-C UK Colossus and won £2,900, now he is guaranteed at least £16,000 for his deep run in this £1,100 buy-in Main Event. Alsop and Veselov may have big stacks but they re not going to have matters their own way when play resumes because they’ll have to contend with some talented poker players. Hasmukh Khodiyara knows his way around the poker tables while Andrew Hulme is only a double up away from being back in contention. Throw into the mix the likes of Fraser MacIntyre, Timothy Chung and Jack O’Neill, the latter having more than $700,000 in live poker tournament cashes, and you have the recipe for a fantastic final table.